When you think about link building within the modern search landscape, we often think of content-driven strategies. We all know about guest posts and how they can be a great way to build links to your site. The only issue is that webmasters have become a lit stricter about the way that you link from within guest posts. This is particularly relevant if you’re linking to a commercial webpage; for example, a product page. As you’ll find that most reputable blog owners will only allow branded links within your author bio. The issue that I have with this is that although Google hasn’t actively targeted these types of links yet for algorithmic penalties, they do leave a huge footprint in your link profile. If Google wanted to, it would be easy for them to identify links built from within author bios. That worries me. An awesome way around this is to actually use you images to build links within the main body of the article (often above the fold) by adding links to your site from image credit links. For example, when you write a guest post, make sure that you use an image from your website and then reference that page with a backlink to it. You can often get an exact match anchor text link here as well – win! Reverse image searching can end up being a very productive task. You’re essentially looking for any website that has used images that you own the copyright to, and then you can go in and ask them to credit you with a link. If you publish a lot of images on your site that you own the IP for then you could be sitting on a link building gravy train. You just need to go and find the sites that are using your images without permission and start watching the links rolling in. 1. Open up Screaming Frog SEO Spider and select Configuration>Spider. Untick all of the boxes except for ‘Check Images’. 2. Now enter in your site’s URL, select ‘Images’ from the filter drop-down on the left and click ‘Start’ to crawl through your website. 3. Now that you have a full list of all the images on your website, export the results to a .csv file. 4. 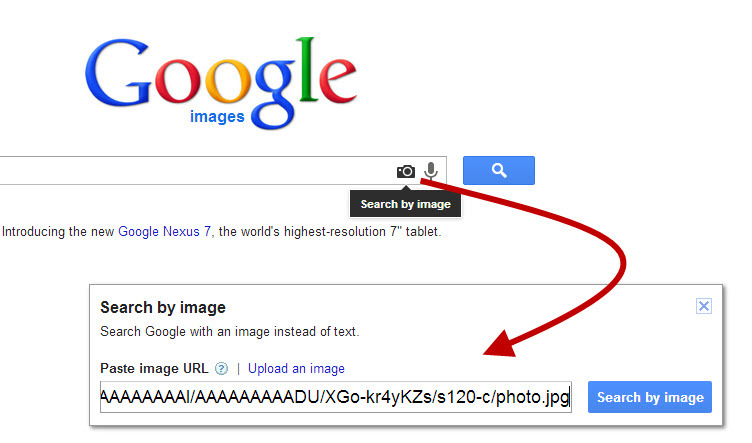 Go to Google’s Image search and click on the camera icon. You can then paste in one of the image URLs to return a list of any website where this image appears. 5. Get in touch with the webmaster of any website that has published imagery from your website and request that they link to the original source article. Tip: If you’ve got a lot of images to check across your site then you can utilise a freelancer on oDesk to go through and do all of this work for you. It may be a very small price to pay for some juicy links! If you own a fairly authoritative blog or brand website within your niche, custom badges could be a really productive link building technique. Major blogs will often run ‘blog awards’, where they list the top 10/20/50/100 blogs from within their niche and do a big write up on each of them. Once they’ve done this, they’ll send the webmasters a winner/featured badge that they can place on their site that links back to the blog awards page. You can imagine the quality of links that can be built using this method. If you’re not the owner of a big authority site, fear not! I use a different approach that uses custom badges to build links to my travel blog (MeltedStories.com) that doesn’t require you to be recognised as an authority in your niche. I’ve built relationships with a number of influential travel bloggers and get them to write for my blog on a monthly basis. As part of the agreement, I ask all contributors to place a ‘contributor badge’ on their personal sites. This badge then links to my blog’s homepage and also generates some good brand awareness within my industry. For the bloggers, it enables them to add an extra reference point within their portfolio (you can read a little more about this here). Note: Bloggers within some niches are more responsive to this than others. If you’re paying bloggers to write for you then you can make this a mandatory condition. Another link building method that I’ve found to be highly effective is to approach webmasters to give them permission to use any of your images. In return, all they would have to do is link to your site. This is a much more proactive method, as opposed to the reverse image search technique that is very much a reactive technique. Having said this, you can be a lot more targeted with this approach. I’ve found that this is extremely effective with blogs that have a lot of original photography. Niches like food, travel, fashion and home are perfect for this. Using my travel blog as an example again, I can gather a list of websites that are within the travel niche, more specifically ones that talk about East Asia. You can use my link prospecting method to do this. I often find that targeting actual business websites instead of other blogs can deliver good results because they often have less original imagery. Once you’ve got your targets, you can either manually gather contact information or just upload your targets to BuzzStream and let it do the hard work for you. 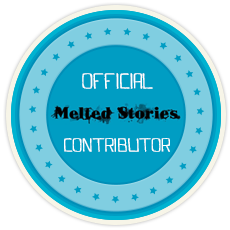 I’m getting in touch because I run the Melted Stories travel blog, which focuses primarily on East/South East Asia travel stories and advice. We have a team of awesome bloggers here and a ton of original photography from all around the Asian continent. I thought that we could partner up to deliver a better visual experience to your website visitors by giving you unlimited free access to all of our imagery (seriously, there will never be a fee for this). The only thing that we ask is that you link to our blog once on your homepage. You can then happily use any of our images and you won’t need to credit each one individually. This makes it a lot easier for you to use the images without compromising design. Let me know if you’d be interested and we can set you up with access to our DropBox folder. You’ll notice that I asked them to just place a link on their homepage as opposed to crediting each of the individual links. This will give us one really powerful link and also make it a lot easier for the target to use our images without having to credit them every time (which can look a little crappy from a design point of view). If there’s one thing that the web is full of, it’s data. Now, I’m a huge fan of data but it can be a little tough to consume in large quantities without some kind of graphical representation. Now, I’m not just talking about creating an infographics here. In fact, I’m not going to mention infographics within the article because they get talked about ALL THE TIME. As far as link building methods go, I think there are actually a lot lower cost/resource ways to use images in order to build good quality links. With this method, I look for data that is regularly mentioned and then providing a small, simple graphic that can be given to webmasters to embed within their site. For example, there are tons of food blogs that will write recipes for making a basic pizza dough. If I was looking to build links from food blogs then I would start by thinking of how I could create a simple graphic to present this. This could just be 3-4 photos showing the different stages of making the dough. They could then be cropped and placed into one image that shows the whole process quickly and easily. It would then be a case of reaching out to a load of the sites that have simple text-based recipes (which is a huge amount) and asking if they’d like to include my graphic (correctly attributed) within it. You could even get an illustrator to draw out each of the stages of the dough-making process – essentially, the better the graphic, the better the response. I actually tested this method out with my travel blog because I noticed that there were loads of relevant websites that gave the dates for the monthly full moon parties. These sites are really primitive and have next to no graphics. With this in mind, I took a quick trip to Fiverr.com and got someone to design a quick image with the dates on. It looked terrible, but it worked really well! It actually ranks near the top of Google image search for ‘full moon party dates’, which brings through some good traffic, and a number of blogs used it with a link back to mine – not bad for $5. If you have your own imagery, make good use of it because a lot of webmasters would kill for free access to good quality images. When you think about link building with images, don’t just immediately shout ‘let’s make an infographics!’. Link building can be reactive as well as proactive. Find the quick wins first with some reverse image searching. Yeah, I think it works particularly well for blog owners within certain niches. Obviously the travel niche is perfect for this – there is less scope for the online marketing niche but I suppose that’s where data visualisations are more relevant. There is also the opportunity to find image assets you could improve (particularly data driven infographics). Tools such as infogr.am can be used to make something more interactive / engaging. Nice idea, Matt. Could see that resulting in some great links/content. Hey mate, have you messed with image raider? It’s pretty solid. Been using it for link reclamation for a bit now and I am really liking it. Hey man, no I haven’t? Will give that a try today and let you know how I get on! Thanks. With images I have tried looking for my Flickr username in Google and there I find out who have used my images and making a mention to me at the same time. I mail them and ask them if it-s possible not to link my Flickr profile but the site I want to be linked. It has always worked. Hi Daniel, yes this is a great idea. You can use mention.net to track any mentions of your Flickr account as well, which works great for identifying these opportunities.